Discussion in 'Cars in General' started by GTPNewsWire, Apr 14, 2019. This article was published by Joe Donaldson (@Joey D) on April 14th, 2019 in the Car Culture category. I'd rather have revived old names than meaningless made-up names or inescrutable alphanumeric designations. So it's not always a bad thing because it didn't work for the Dart, it probably won't work for the Eclipse Cross and it probably won't even happen for the Mach 1/Mach E? Regardless of whether people take themselves too seriously about whether automotive names are sacred, automakers probably shouldn't keep assuming people are so dumb that (beyond the people who get angry about it) anyone actually cares when a vehicle that the company knows is going to be mediocre before it even hits lots gets a completely unrelated historic-ish name slapped on it to try and move some. A successful example of an iconic nameplate being reused on a conventional (by American standards) car can be seen in the 2005+ Dodge Charger. As for the Eclipse Cross, Mitsubishi doesn't sell non-commercial vehicles in large volumes in the UK (except for the Outlander PHEV) so it is hard to tell if it is meeting internal targets. Despite the controversy, I think the Puma will still be a sales success. If it carries over all the likable aspects of the Fiesta without a significant compromise in driving quality, car journalists will love it and it will stack orders quickly. I didn't say it was a bad thing for the Dart, in fact, I said the opposite. I'm not so sure about that, but given the public now seem to be buying plenty of Ecosports even though they're crap, I'm sure they'd happily buy the Puma too. KinLM, VXR and im_seb30 like this. That's true, I'm actually baffled as to why the EcoSport is selling so well. Do people just see the Ford badge and assume it is dependable? To be fair, it will be cheap to run and insure but even for crossover standards, the EcoSport is just so ! KinLM, bremics and im_seb30 like this. It sells well for the reason most Fords sell well in the UK regardless of whether a car is good or not: there's a dealership in every town so buying one requires very little thought process. VXR, FerrariF1GT, Il_Conte_Sky and 2 others like this. You got that right. Location, location, location. 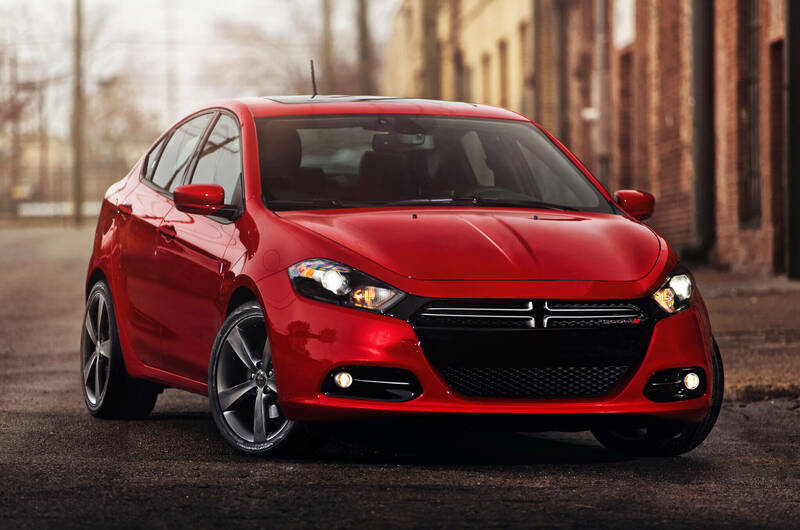 I can tell you right now that both the Chrysler 200 and the Dodge Dart, as great products as they were, were the least financially rewarding enterprises that we've carried out inside FCA in the last eight years. I don't know one investment that was as bad as these two were. While it's perhaps not a bad thing, it certainly doesn't seem to help any. So, again, regardless of whether people take "sacred" automotive names too seriously, automakers probably shouldn't keep assuming people are so dumb that a completely unrelated and thoroughly mediocre car sharing a name with a car people liked in the past would contribute to them buying it. I don't think people bought the Dart because it was called a Dart, and I don't think people didn't buy the Dart because it didn't live up to the standards set by the previous Dart (heh...). People who bought it probably would have bought it regardless of its name (within reason, of course) and people who balked at any name "misappropriation" probably weren't in the market for a new car in those three years or probably wouldn't have bought the car that it was regardless of the name. I figured people didn't buy the Dart because the Civic and Corolla exist these days rather than anything to do with the name. Does anyone buy anything else in that segment in significant numbers? I didn't buy the Dart because I was annoyed by the front styling... The whole regular, aero and GT thing annoyed me. Same goes for the Mitsubishi Eclipse Cross, which is pretty far from a sport compact with a crank-walk problem and a driver who’s a fan of tuna sandwiches. It's hard to say this guy actually liked tuna butties. Instead he might have tolerated eating tuna sandwiches to actually see the one making them. My mom bought a well equipped Dart Rallye 2.4 and man is it a fun car to tool around in. 180hp is nothing to snuff at in a car that size. I just hope Ford brings back the Thunderbird and Lightning (very, very frightening?) names for Electric cars because they're perfect. The resurrected Ford Puma kind of works. Regardless of the nameplate I'm sure the new Puma will sell. The Eclipse Cross doesn't make sense to me. The 2005-present Dodge Charger is a nameplate reboot that worked well. The newest Holden Commodore based on the Opel Insignia (known where I live as the Buick Regal) could have worked as a Holden Insignia. Ford could use the Thunderbird nameplate for an electric version of the Mustang. They have a hybrid in the pipeline. The Lightning nameplate would be more fitting for whatever the Mach E will end up being. Hence why if you only lived in the vicinity of Kingsbridge, Devon, you would think Suzuki are the best selling cars on the road. In a 10 square mile area, it's the only car dealership. Resurrecting old names instead of making new ones also conveys a sense of heritage - the idea that you're buying from a company that has been making cars for a very very long time, and presumably knows a thing or two about how to do it. Brand recognition isn't just "I know that name, I guess I like it", it's also "oh yea... wow I guess these guys have been around for a while, they must be good".